An international team of researchers has managed to pinpoint, to within three months, a medieval volcanic eruption in east Asia the precise date of which has puzzled historians for decades. 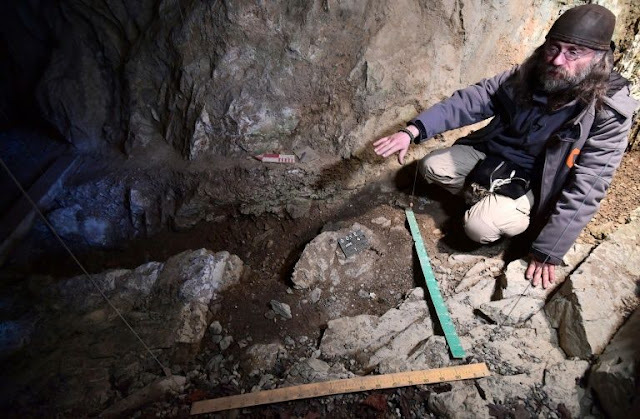 They have also shown that the so-called "Millennium eruption" of Changbaishan volcano, one of the largest in history, cannot have brought about the downfall of an important 10th century kingdom, as was previously thought. 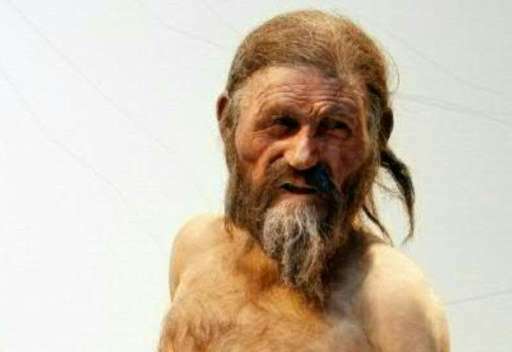 Oetzi the famous "iceman" mummy of the Alps appears to have enjoyed a fine slice or two of Stone Age bacon before he was killed by an arrow some 5,300 years ago. His last meal was most likely dried goat meat, according to scientists who recently managed to dissect the contents of Oetzi's stomach. Birka, on the island of Björkö in Lake Mälaren, 40 kilometres from Stockholm, is thought to be Sweden's oldest town and has been the site of excavations since the 17th century. 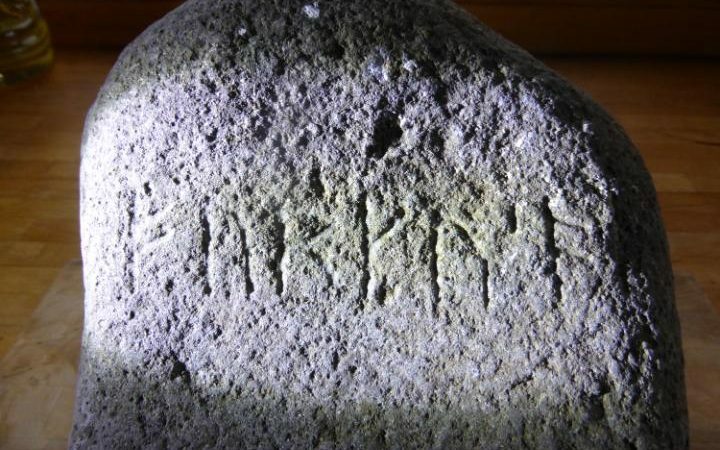 But there is still plenty left to be discovered on the island, as Swedish and German researchers' latest find proves. Thanks to high-resolution geophysical surveys carried out in September 2016, researchers now believe they have located one of the most important Viking halls of the era, situated in the harbour bay of Korshamn, outside of Birka's town boundaries. They believe that it can be dated to the period after 810 AD. “This kind of Viking period high status manors has previously only been identified at a few places in southern Scandinavia, for instance at Tissø and Lejre in Denmark,” said Johan Runer, archaeologist at the Stockholm county museum, in a statement. The excavation of a rare, intact Viking boat burial in western Scotland has been set out in detail for the first time. Artefacts buried alongside the Viking in his boat found in Ardnamurchan suggest he was a high-ranking warrior. In a report published by Antiquity, archaeologists describe the finds including a sword, spearhead and 213 of the boat's rivets. The weapons indicate the burial of "a warrior of high status". Archaeologists, including Dr Oliver Harris of the University of Leicester, first revealed the discovery at Swordle Bay in 2011. 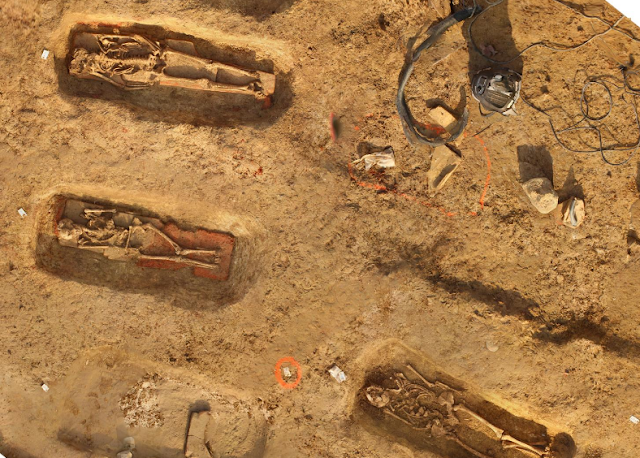 Since then experts have been studying the burial site and its "rich assemblage of grave goods". Among them were a single copper alloy ringed pin, thought to have been used to fasten a burial cloak or shroud, a broad bladed axe, a shield boss and whetstone made from rock found in Norway. Also found were mineralised remains of textiles and wood. Bust of the emperor Commodus dressed as Hercules, in the Capitoline Museum, Rome. Foundations of three large Roman houses preserved for almost 2,000 years have been discovered in a park in the centre of Chichester. 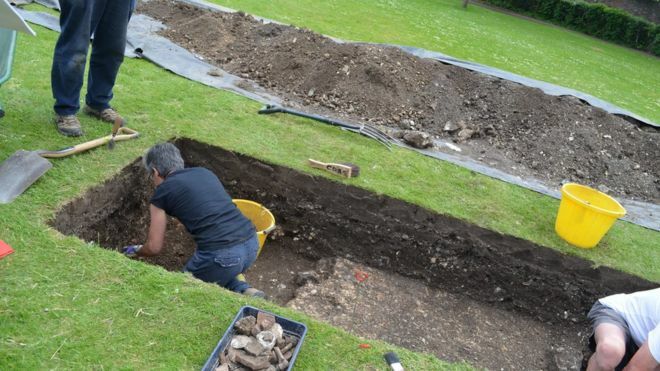 James Kenny, an archaeologist at Chichester district council, believes that when fully excavated they will prove to be some of the best Roman houses found in a city centre in Britain. Ground-penetrating scans of a park have revealed three near-complete Roman buildings in Chichester. Archaeologists, who were left stunned by the degree of preservation, have said the only reason they survived was because Priory Park was never built on. Two houses and a third building were found. Moving images from a scan show the shapes of two buildings emerge. It is thought the houses in Noviomagus Reginorum - the Roman name for the town - were owned by people of importance. 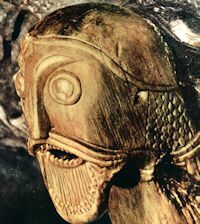 The resident alerted Camille Dressler, chair of the Eigg History Society, about his potentially significant find, and she sent a photograph to Historic Environment Scotland (HES). Plans for a new Museum of London on the site of derelict Smithfield market buildings have received a £180m boost by the City and the mayor. The City of London Corporation announced it would give £110m towards the project’s £250m cost. The mayor of London, Sadiq Khan, also pledged £70m. Khan said the museum would be a jewel in London’s crown. “From the outset of my mayoralty, I pledged to make culture a core priority and I’m proud that this is the biggest ever cultural investment made by any mayor of London to date,” he said. The Centre for the Study of the Viking Age is pleased to report that we have been awarded a substantial grant from the Arts and Humanities Research Council Follow-On Fund for a project called Bringing Vikings Back to the East Midlands. The project will fund a variety of initiatives and events related to the British Museum/York Museums Trust travelling exhibition on the Vikings which will be on at Lakeside from November 2017 to March 2018. 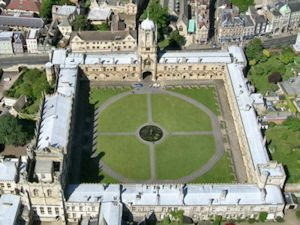 CSVA alumnus Dr Roderick Dale will start as Cultural Engagement Fellow on the project on 1st February. More details to follow. Le début du Moyen Âge est marqué par des formes d'expression originales, mais peu connues. 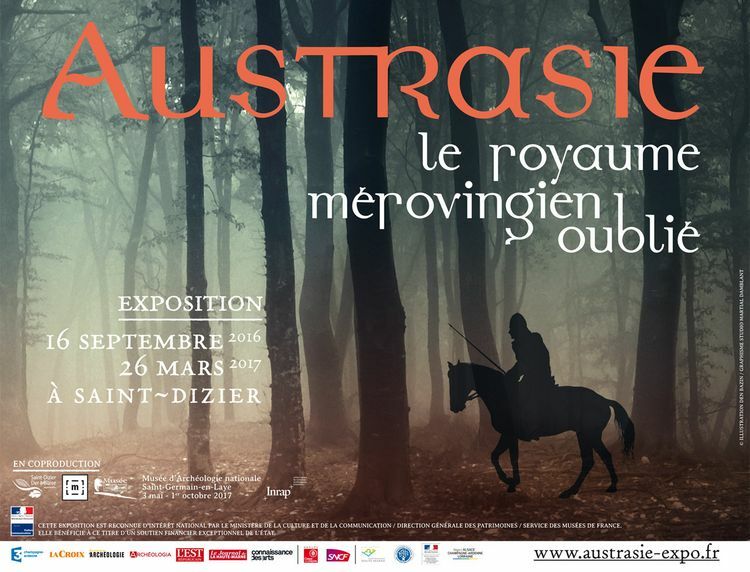 L'exposition Les Temps mérovingiens éclaire cette période foisonnante, de trois cents ans (de la bataille des Champs catalauniques en 451 à la fin du règne des « rois fainéants » en 751), entre influence de l'empire romain et mise en place de nouvelles formes de pouvoir loin de l’image de « barbarie » qui leur était autrefois attachée. 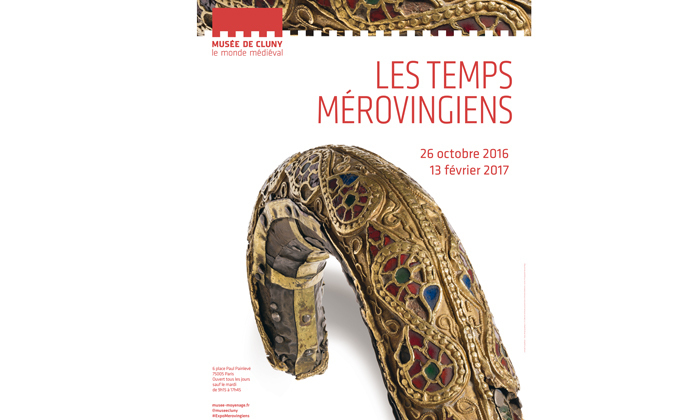 Les Temps mérovingiens est présentée dans le cadre majestueux du frigidarium des thermes gallo-romains. Rare Anglo-Saxon artefacts have been unearthed during the excavation of a housing site in Coldham's Lane. Archeology by Weston Homes. Rare Anglo-Saxon artefacts once worn and treasured by nobles between 501 and 600 AD have been unearthed during the excavation of a housing site in Cambridge . Oxford Archaeology East uncovered the Ango-Saxon village on the corner of Hatherdene Close and Coldham's Lane on behalf of archaeology specialists, CgMs and housebuilder Weston Homes. 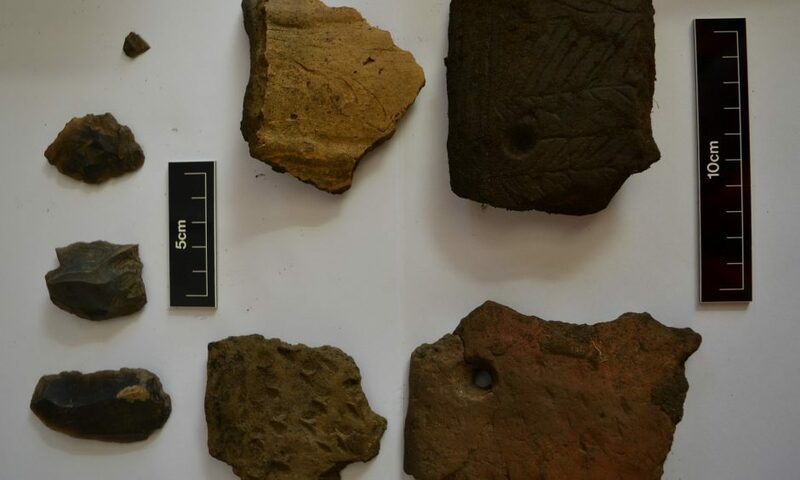 The findings include precious jewellery such as fine brooches, multi-coloured glass and amber beads, rings and hairpins dating back to the sixth century AD, as well as remnants of an original village-style settlement. Utilitarian tools such as small knives and weaponry were also among the findings on the site which provides a fascinating insight into the lifestyle and clothing of the ancient Anglo-Saxon era. Pottery and flint tools buried for 4,000 years were uncovered during excavations for St Andrews University’s new energy centre. 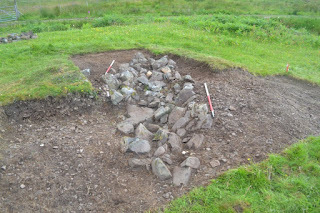 The ancient artefacts were dug up at Kincaple as engineers laid pipework. Archaeologist Alastair Rees from consultancy firm ARCHAS Ltd said the find, which included flint tools believed to be from Norfolk or Yorkshire, provided more evidence of trade links across the UK. “These finds provide yet another piece in the jigsaw to help us reconstruct the mundane, as well as the more interesting, aspects of how societies interacted and travelled in ancient Britain,” he said. 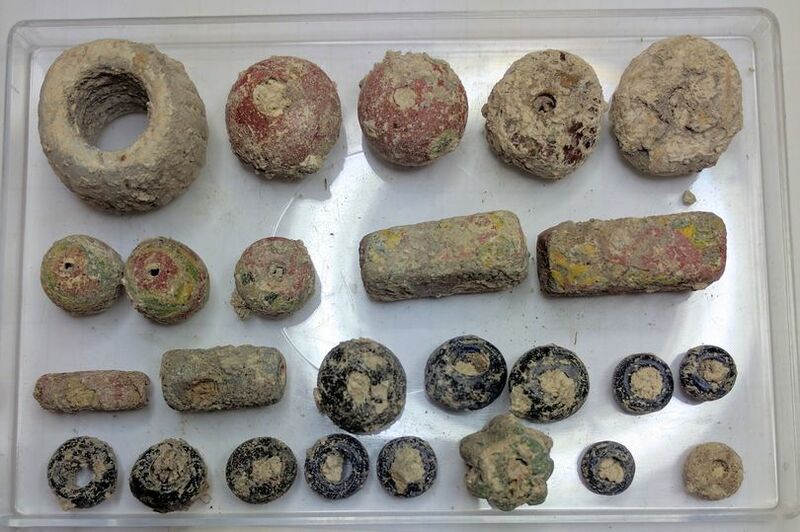 Dans un secteur de plaine de la commune de Bouc-Bel-Air (Bouches-du-Rhône), des archéologues de l’Inrap sont actuellement à l’œuvre pour dégager les dernières sépultures d’une nécropole antique. Ils interviennent depuis le 19 septembre sur prescription de l’État (Service régional de l’Archéologie / Drac Provence-Alpes-Côte d’Azur), en amont de l’aménagement d’un ensemble d’habitations privées et collectives. 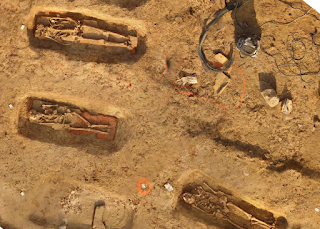 Après avoir mis au jour des vestiges datant du Néolithique, les chercheurs se sont concentrés sur plus de 300 tombes, installées à partir de la fin de l’Antiquité. La fouille, d’une superficie totale de 21 900 m², s’achèvera à la fin du mois de janvier.